As we conclude this series, there are a few more points that I need to touch on. These are some of the most important points of the six steps that I have talked about in this series. There are three more secrets of the World’s Highest Performing Achievers are influence, presence, and purpose. Influence, Presence, Purpose what they all have in common! Who influences you the most in life? What impact has that influence had on your life? My mom was that person who influenced me in my life because she was dedicated, fair, loving and competitive. I realize I have these traits because of her influence on me when I was growing up. In my life right now, I am concerned about my influence on my children because they are all teenagers and I know they are not going to be home for many more years. 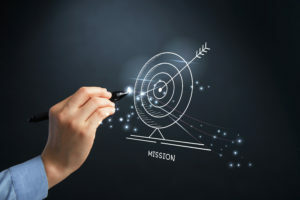 My wife and I want to share our influence with our children in the areas of life like: social connection, technology, work ethic, financial responsibility and personal responsibility. These are all traits they need to become mature young adults in life and society to make a difference in the world. If you haven’t figured out yet the fourth secret of the world’s highest performing achievers is that they must master their Influence! Influence is all about persuasion. Let’s look at persuasion and ask ourselves a couple of questions? Am I developing influence in my life? Am I demonstrating empathy and bold enthusiasm when I seek to influence others? And finally role model the way. Think of Dr. Martin Luther King! Did he teach us how to think? Do you think that he challenged us? Did he role model the way? All great leaders do that by the way they model their actions and words to influence us. As you see on this picture this is my friend Keith Lueckenhoff. 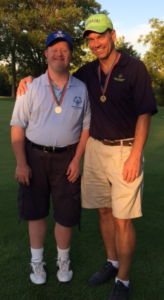 Keith and I play Special Olympics golf together. Keith has influenced me in so many ways, because I learn from him how to enjoy each day and enjoy the moment! Thanks Keith for being my friend! When we want to influence someone follow these three rules. Real influence is not given by title or status it is earned in how we communicate with others by our actions. What actions do I need to do today to be more influential in my relationships and career. High Performers have the ability to influence because they are fully present and live with a daily purpose in life. This brings me to Secret # 5 of the world’s highest performers is they master Presence. They ask themselves this question all the time? What level am I in this moment in terms of emotional and physical vibrancy? You need to ask yourself daily: Am I present with my family? Spouse? Co-Workers? Clients? Friends? The best way to be truly influential is they bring presence into their relationships. Influential people have a high degree of presence with everyone they encounter. To close out this series, Secret #6 of the world’s highest performing achievers is they master their mission in life. They define and know where they are going and why. Then they strive to stay on purpose each day and to serve greatly. They are always asking themselves how can I follow my purpose and serve greatly in the moment. I would like to share with you my purpose so you can understand why I do what I do. This is why I am so passionate about helping others because I want you to achieve the greatness inside of you! 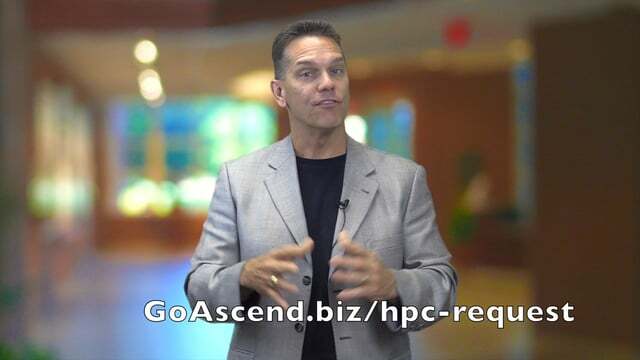 If you are looking to take your life to the next level of high performance, go to GoAscend.biz/hpc-request Fill out the strategy session and I will provide you a one-hour FREE coaching to help you get started on your journey.